The Hahnel UItima Plus Charger for Canon is a multi-purpose charger for practically all Li-Ion digital camera batteries. There is a built-in USB charging facility for various devices, such as an MP3, iPhone etc. too. 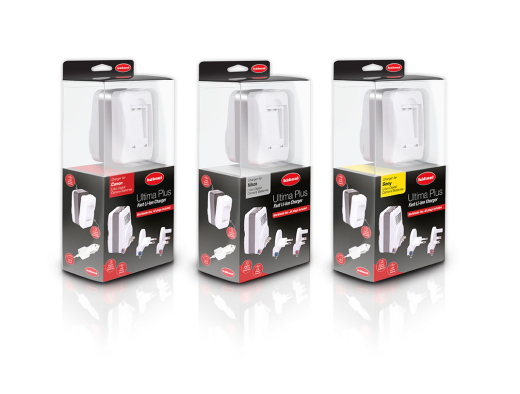 The Ultima Plus is a worldwide charger with Euro, UK and foldable US mains plug included. There is also a 12V car lead for use in car. This modern, slim-line design comes with interchangeable battery plates, for digital cameras or a specified brand.